Salary:INR 1,25,000 – 2,00,000 P.A. We are one of the professional executive & recruitment firms based out of Hyderabad. 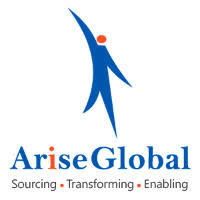 Arise Global have been providing our services to fortune 500 companies for the staffing and recruitment solutions in IT and ITES verticals. Shift Timings: Only Day Shifts. Role: Customer Support Executive for Domestic voice process. Be a part of giant financial services company to shape up your careers the below skills is what you require. Typing Speed of 20 WPM. Ability to concentrate follow customers issues without distraction resolution. Candidates must have Good Communication skills in English and Hindi (Both languages are Mandate). Should be flexible to commute using own transport. Good Interactive and Interpersonal skills. Sound knowledge of Finance domain is a value add but not must. Sunday Fixed OFF Alternate Saturday off. All marks memos photo copies.